One of my all-time favorite words is only three letters long. It’s a simple word to learn, but a difficult word to master because it has the power to create life as well as diminish it. I love the word yes because of the possibilities it contains. Yes is permission. Yes is potential. Yes is momentum, and excitement, and the gateway to growth. The key is saying yes to things that are healthy. Not too long ago I cast vision to a group of leaders. There were several people in the room listening as I talked about the possibilities of partnership, and how joining together could make a significant difference in the world. After speaking to the group at large, I met with a handful of those leaders in private. We were in the green room, and the conversation turned to the possibilities of partnership and pushing a little deeper on the details. I loved his phrase—“I live on the other side of yes”—so much that I included it in my chapter on the Abundance Shift in new book, Leadershift: 11 Essential Changes Every Leader Must Embrace. I think it’s an absolutely brilliant way to talk about leading out of a creative mindset, and it offers some practical habits that help all of us live more abundantly. Everything that humanity has created first existed in someone’s imagination. Ideas and innovations don’t spring out of the ground; they have to be wrestled into existence out of the mind. If you want to super-charge your imagination, develop the habit of asking great questions, spending time with sharp people, and taking action to create momentum. Opportunities are like rabbits—you get a couple, learn to handle them properly, and pretty soon you have a dozen! Coach John Wooden used to say, “When opportunity comes, it’s too late to prepare.” I love that quote because it reminds me to work as hard as I can, learn as much as I can, connect with others as often as I can, and build a team as well as I can, to ensure that I’m ready when opportunity knocks. The same is true for you. You never know when the door of opportunity is going to open wide, but those who become successful are ready when it does! Søren Kierkegaard is famous for saying, “Life can only be understood backwards, but it must be lived forward.” You could say the same thing about opportunities—we see them once they’ve passed us by, but the ones we need are still in front of us! 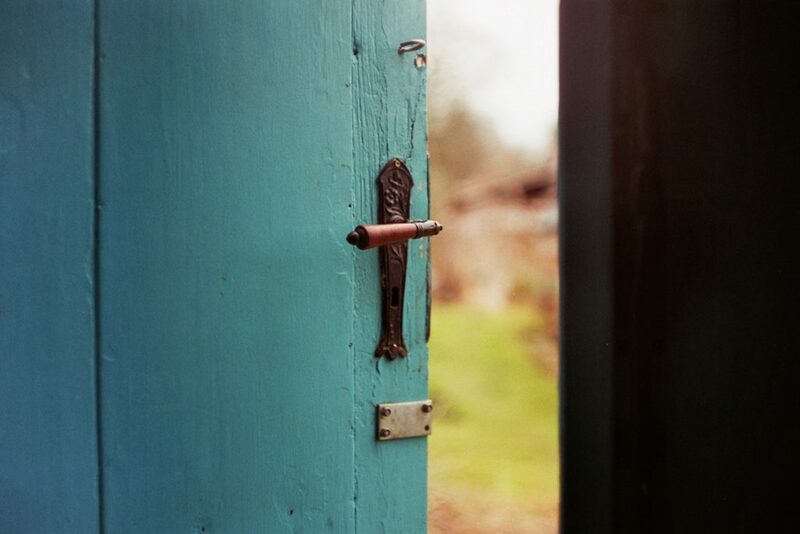 Leaders should look for the doors in front of them, the moments and opportunities that present themselves to us today. If we activate those opportunities and keep pursuing them, we will eventually create what I call success momentum. A life of creativity can be yours, but only if you move past fear and learn to seize the opportunities in front of you. Slipping free from our comfortable no and living on the other side of yes is the best way to make the necessary shift to abundance. That was awesome! Each article or book I read from you makes me feel so appreciative of all the wisdom you have and so freely give to others. Thank you for all your years of dedication towards leadership and the wisdom you so freely give. That’s great Iam working my way to yhe other side of that yes by working a full time job and giving up ssi. I love this saying “Live on the Other Side of Yes”. I am a young business owner of LaVida Massage Colorado Springs. I retired from the Navy in 2007 and purchased franchise in 2015. I love reading, learning and dialoguing with those that have come before and those that come after. The greatest challenge that I have is with my associates (staff). Massage therapist are a different breed and lack the business acumen to be successful in a team environment or service industry for that matter, but I bound and determine to grow my business and those that are willing to Live on the Other Side of Yes. I have so much to say, but I need a real person to dialogue with. So for now I will leave it here…..Have a Wonderful Day! This is my first blog since signing up. Wow! What a great way to begin. So glad I said “yes” to the invitation to join. Great post! To activate creativity and see great opportunities as well as partnerships, I most recently have realized the need to get off an autopilot mode, and engage all I have. Since I started reading your books, my life spin. What I have accomplished now and will still accomplish in the future is a product of what you have just shared “live on the other side of yes”. Please keep on inspiring others through your talks and books in order for this world a happy place to live in. Thank you. I love Live on the Other Side of Yes. You can feel the energy in those very words. It’s a great perspective. This especially resonated, having recently been elected president of a small town, but excellent, non-profit museum. We need to get more positively motivated people involved and let them soar. I’m going to pass this on to my young relatives who so often are afraid to say YES! The day I missed a great opportunity through a ‘NO! was the day I understood the power of YES. I was 11 and a friend of my dad offered me to quick flight in his small private airplane. I was delighted as I stepped in the small aircraft and even more whilst we were buzzing around 700 feet above the ground. Then I heard something blurry coming from the pilot and I said “No, thank you”, not really understanding what the question was. Back on the ground the pilot kindly asked me why I did not want to carry on and do some acrobatics in the air. I realised immediately what I had missed by saying ‘NO’. I just LOVE the word ‘YES’, when others say it and even more so when I live it! I am a person that says “yes” to many things! At some point saying yes can be overwhelming and no as productive because your energy is now being pulled from various places. How do you decide which is best? Do you really always say yes? When do you know when to say no? By saying yes- you somewhere have to say no- to other things. And sometimes saying no- leaves space and freedom to say yes to other things. I’m still trying to figure it out 😉 Thanks! I want to live in the other side of yes! !